Visit http://www.pendrivelinux.com/universal-usb-installer-easy-as-1-2-3 to download the Universal USB Installer. This is used to create a bootable USB drive for Linux and to create a Windows 10 bootable USB flash drive. After it has finished downloading, click on the file to run. The Universal USB Installer will then show a drop down menu of all the operating systems. You won’t find Windows 10 here, but only up to Windows 8. 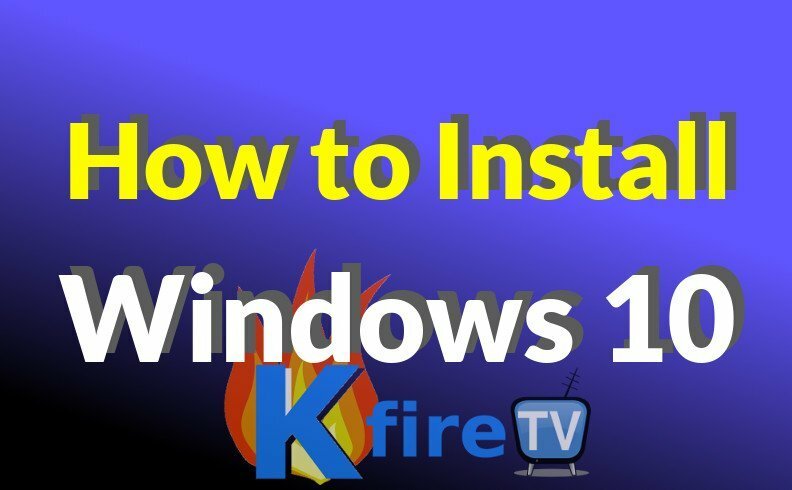 What you must do now is to click the browse button and select the Windows 10 iso file you downloaded in Step 1. Insert the USB flash drive that you want to use on your computer. Select the USB flash drive and check on Format flash drive. Click on Create button. A dialog box will appear telling you that the Universal USB Installer is ready to create your bootable USB. Click Yes. Close the window and safely remove your USB flash drive from your computer. Your Windows 10 bootable USB flash drive is ready for use. You may now use this drive to install Windows 10 to your PC. Place the thumb drive into the USB port of the computer on which you’d like to Install Windows 10 (which may be the same PC you used to create the bootable thumb drive). Now power off the computer on which you’d like to install Windows 10. Then power the computer back on. Your PC may or may not boot into the Windows 10 installer program, which is entirely based on whether or not your computer’s BIOS is configured to boot from thumb drives before it boots from the computer’s hard drive. If your PC did boot up into the Windows 10 installer, follow the on-screen prompts to finish the install process! You’re home-free from here on out. If your PC did not boot up into the Windows 10 installer, try the alternate install method below or change your computer’s BIOS to boot from the USB thumb drive before it boots from the hard drive. To do this, press a key when your PC is booting (showing the “diagnostic messages”). Usually the key to press is F2, F8, or F1. Then once you’re in the BIOS configuration screen, look for “Boot Order” or “Boot Priority” or something similar – then bump the “USB” port up to the top of the list, Save your Settings, Exit, and Reboot into the Windows 10 Installer. You may also download Windows 10 from Microsoft. Devices and computers that are ready to get Windows 10 can get an update just by clicking on a button. It takes a few minutes to do so and afterwards, you get a clean, safer and more exciting desktop that you can view across devices. Now that you got Windows 10 on your computer, make sure that you have your Microsoft account ready to start using Windows 10. You need this account to log in and to inform you of updates, sync your emails, notifications, calendars and events on your computer to your device. Windows 10 allows users to access the same screen from their PC, laptop, tablet and Windows phone. They can have consistent access to apps and files may be easily transferred as well. For users upgrading from Windows XP or Windows 7 to 10, it could be a complete shock using a new screen with totally new features! Microsoft also plans to focus on 2 in 1 devices which will allow users to switch from keyboard/mouse to touch screen modes. Their Office suites are also handy for all devices supported by Windows 10 so this means you can create documents, spreadsheets and slideshows on your phone, tablet and on your computer. Windows 10 will be supported by Microsoft for a lifetime of the device no matter if it is a PC, laptop, phone or tablet. This is why more and more people who use Windows 8 or later OS are switching to Windows 10. Mac OS is an alternative to Windows, but Windows-based PCs won’t run Mac OS. So if you want Mac OS, you need a Mac computer. Android OS is very popular, but is intended more for entertainment / media / mobile & smartphone applications instead of business applications. Chrome OS is a flavor of Android OS that runs on Google’s Chromebooks. It’s intended for browsing and light business applications (Google Docs).